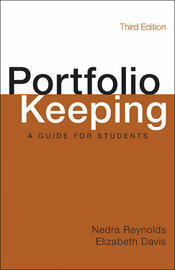 Brief and inexpensive, Portfolio Keeping, Third Edition provides all the information students need to create successful portfolios either in print or online. With expanded coverage of e-portfolios, portfolios across the curriculum and outside the academy, and reflective thinking and writing, the new third edition will help students and instructors using portfolios in any situation. This book is also available as an e-book within the Bedford e-Portfolio.